Another back to school lunch for you!! 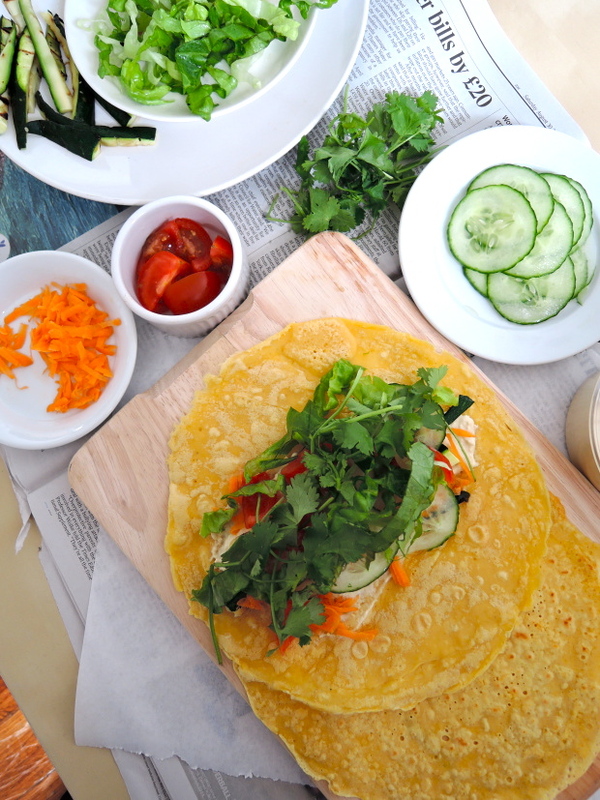 Super easy and won’t weigh you down or make you feel lethargic like a traditional wrap – It’s used in the same way but has a ton of protein to keep you fuller for longer (adios, 3 o’clock slumps!). PLUS, it’s naturally vegan and gluten free! Hooray! To be honest, I only recently discovered chickpea flour, or besan, but man it has changed my ball game! 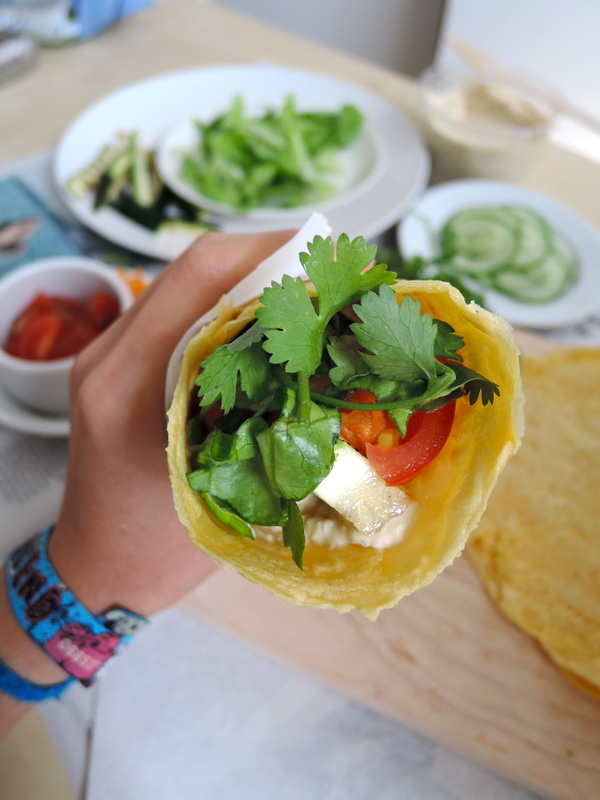 Lunch has got a whole lot more exciting, PLUS it’s super easy to make and they’re customisable!! Add in some blended spinach or beets to make coloured wraps, add herbs for flavour, and the filling is changeable to suit your needs – I’m sure some kind of sweet filling would work here too! 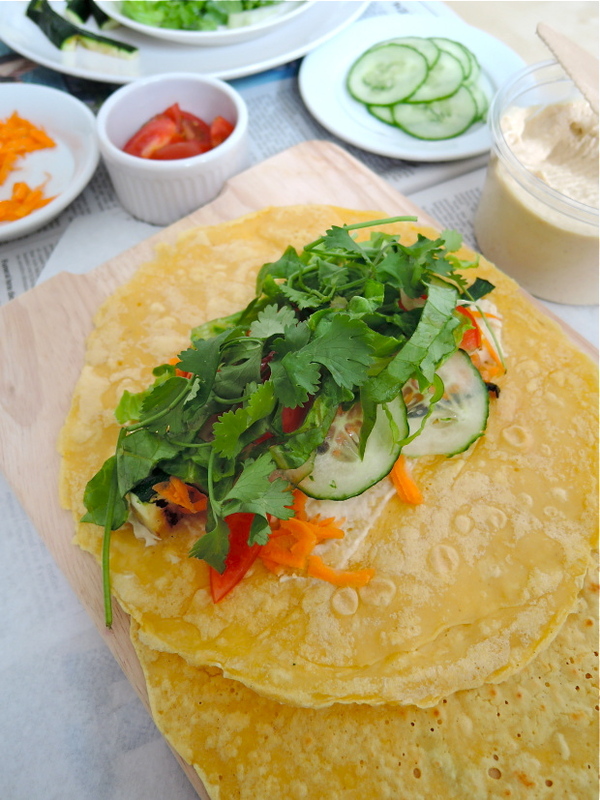 Have you tried using chickpea flour before? If so, what have you made? 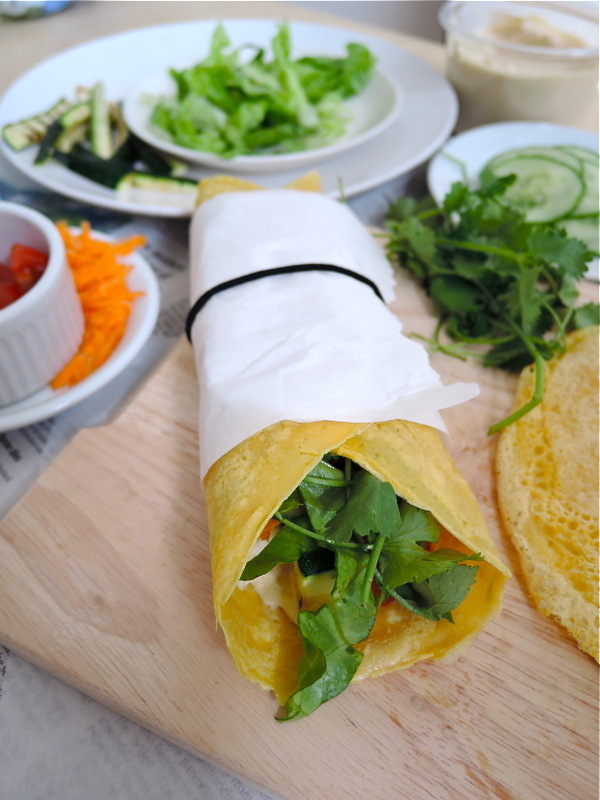 This wrap is a fantastic alternative to store bought tortillas and much healthier for you as it is naturally gluten free and super easy to make. You can make the batter thicker and make them smaller to use them for appetisers (eg. smoked salmon and cream cheese) or use as an alternative to crepes/wraps. Mix the water, gram flour and salt together until no lumps remain. Leave in the fridge for about 2 hours. Add the olive oil and stir again. Add more water if necessary. Cook a thin layer in a non stick pan. When the side dries up and starts to lift, flip with a spatula (or your hands, or chopsticks as it’s quite delicate if thin). Fill with any fillings and enjoy! wow, never thought about making my own wraps! These look delicous! So easy! Think of it as a crepe batter – it’s super thin and you just fry it in a pan! these are adorable! 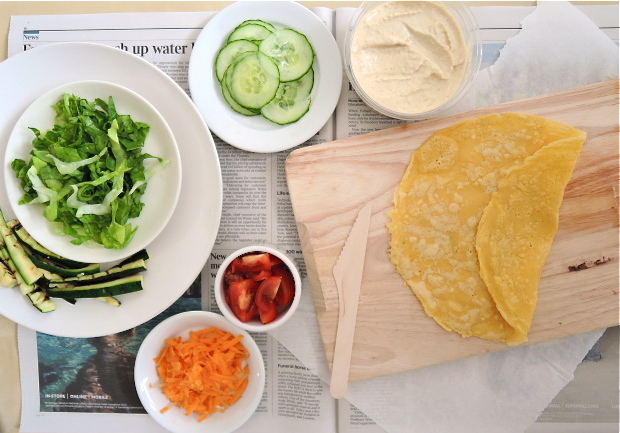 i’ve never thought of chickpea wraps either… it’s such a great idea. 🙂 can’t wait to try this! Weekend tea sorter? I think so! Saving this recipe immediately. This looks too good and sounds so simple to make. Thanks for sharing! 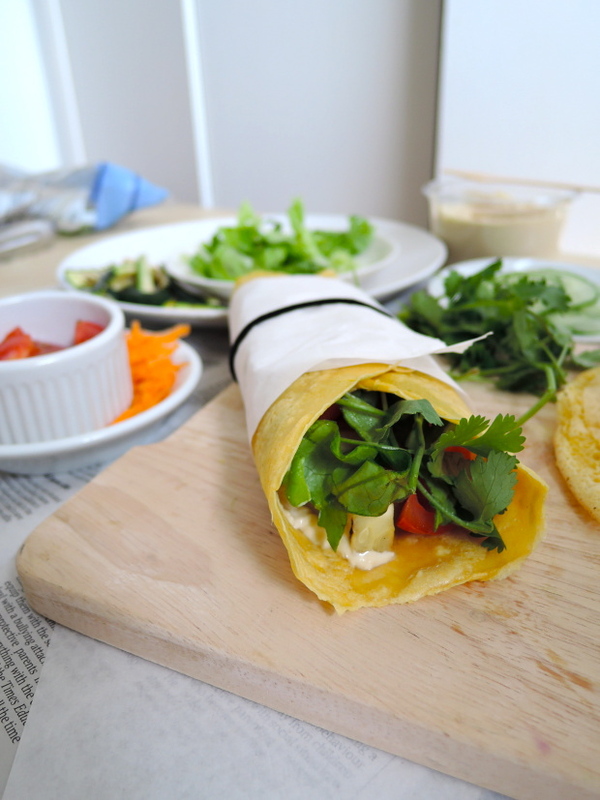 I have yet to try chickpea wraps and I see them everywhere…they look so easy, I definitely need to buy some chickpea flour. Yours look so delicious and healthy! Thank you so much! They’re now one of my go to lunches as they’re so easy and delicious! Thanks Cynthia! Definitely one of my new go to’s! Can these be cooked and then frozen to be used at a later date? Hi Saniel! I’m sure they can although I haven’t tried! You can probably freeze them then defrost naturally or maybe warm in a microwave to make them soft and wrapable! Ooh sounds like a fantastic idea Ruby! How much olive oil do we use? I just use it to grease the pan but also feel free to add a dash to the batter if you want more flavour! Hi there! It should make 1 or 2 wraps, depending on how thick you like them!